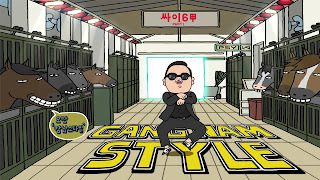 One of the most important video music around the world, its, without doubt, "Gangnam Style" singed by Psy, is currently the video most viewed from Youtube. Released in 2012 and today is arriving to had nearby 3 billion views! The song won 12 Awards from some countries around the world, and peak the first positions in almost 40 charts. If you want to know the rest of the participants for the best summer song ever, just go to the Top 50 world Summer or check all Top 50 World Spécial that we have in our website!